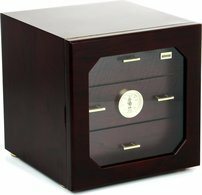 What characterizes a good humidor? The lid should close relatively tightly to prevent the humidor from losing moisture. 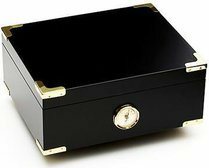 The body of the humidor should be well insulated effectively preventing the escape of moisture. 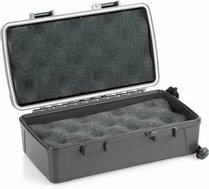 Usually, a more solid body provides better insulation. 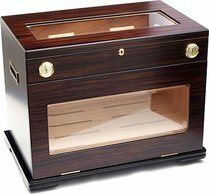 Spanish cedar wood should be used for the inner lining of the humidor. 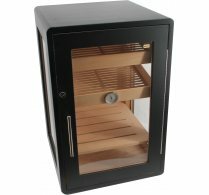 The cedar wood should have a minimum thickness of 1.5 mm. This is difficult for the buyer to ascertain at the time of purchase. 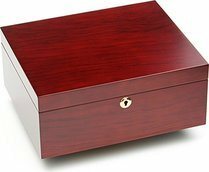 Often, the only information available regarding the type and the thickness of the wood lining is what's provided by the manufacturer. Unfortunately, not all manufacturers supply this information. 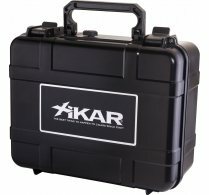 Among the leading brand manufacturers who have been on the market for decades, you can generally be confident that both these requirements are fulfilled. 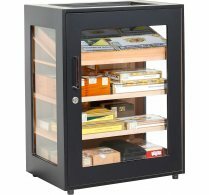 Air circulation in all areas of the humidor should be ensured. 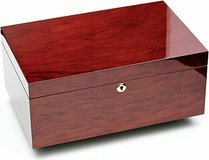 Shelves or trays should have sufficient openings to allow the air to circulate. 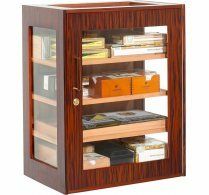 When a humidor is equipped with drawers or shelves, adequate ventilation openings should be a point for consideration in the design and construction. 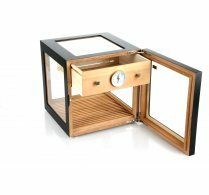 The humidification system should use an acryl polymer based sponge and be adapted to the size and capacity of the humidor. Cheap no-name humidors usually use moss foam sponges. Such humidification systems should be replaced. 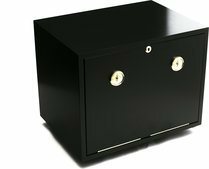 Hinges should be robust. 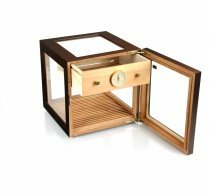 Quadrant hinges, which can be embedded into the body of the humidor, have a significantly longer service life than standard piano hinges that are screwed onto the back of the humidor. 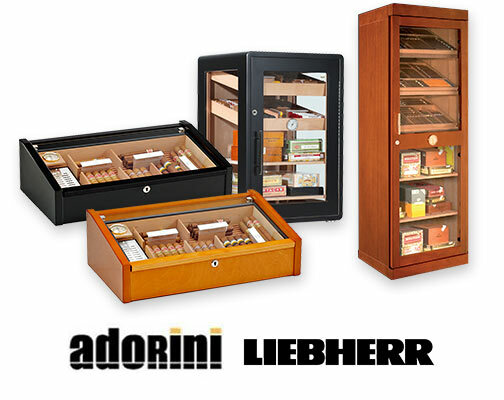 Cheap humidors often forego the use of quadrant hinges because the walls are simply not thick enough to hold them. 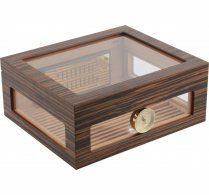 A hygrometer should be included in order to measure the humidity level. 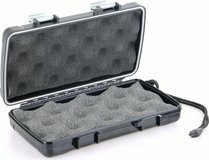 The most accurate are analogue hair hygrometers or digital hygrometers with high-quality moisture sensors. 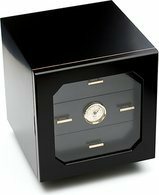 Conventional hygrometers which use metal springs, such as those included with almost all humidors in the lower price range, are notoriously inaccurate, even a short time after calibration deviations of 5% or more can occur. 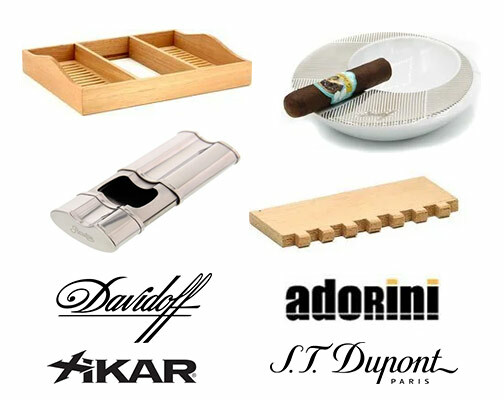 Welcome to the worldwide favorite store to buy humidors online with a wide selection for the cigar smoker. 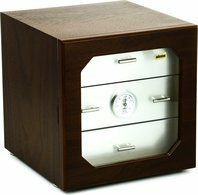 Thousands of humidor reviews make it easy to find the best item for you. 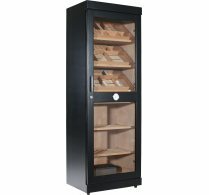 Our online guide explains everything you need to know about proper cigar storage, setup and humidor seasoning. 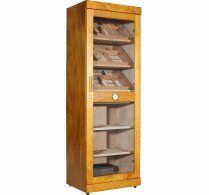 You will find information about the importance of Spanish cedar and how to regulate humidity. The guide even includes video tutorials for clear and easy instructions. 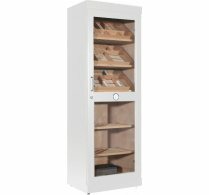 Our selection: You will find a great variety of products at a low price, on sale and with big discounts. 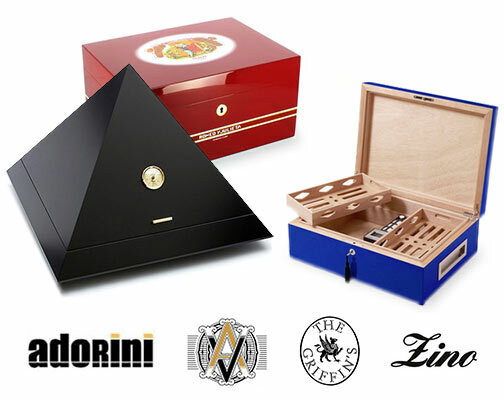 We carry the most prestigious manufacturers, such as Adorini, Zino Davidoff, Dupont, Liebherr and also the official Montecristo and Cohiba humidors from Habanos. Electronic humidifiers are offered in different sizes. 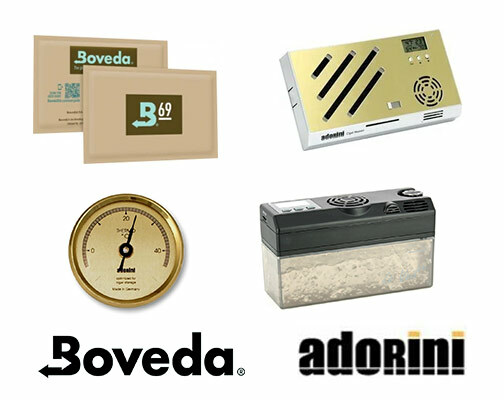 Both humidifiers and quality hygrometers are critical components to take into consideration before making a purchase. Jet flame lighters are convenient to light your cigar. 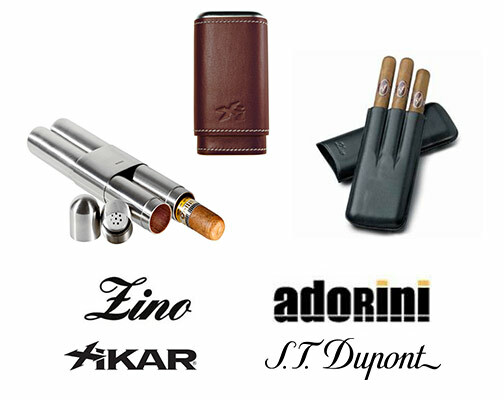 Some lighters come already with integrated cigar punchers. Double or even triple flame lighters make the process even faster. 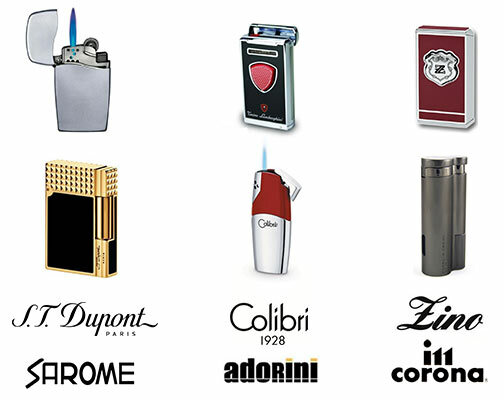 We offer the full range of luxurious Dupont lighters and also Colibri lighters. 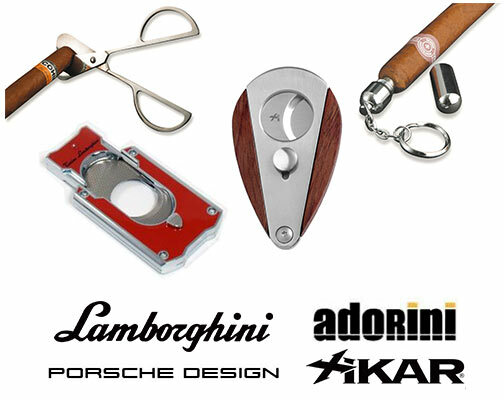 Cigar cutters are an essential tool for the cigar aficionado. Double blade cutters are the most popular choice here. 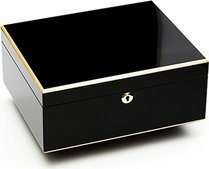 A large number of additional accessories are offered ranging from a cigar ashtray to a metal and cigar leather case. Our customer service will be happy to assist you with any questions. Read what our customers say about us. 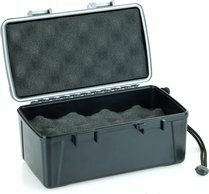 Free & fast shipping is offered for the US, Canada, UK and all European countries for all orders over $180. 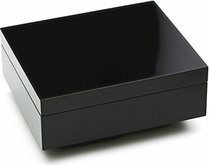 We ship to every country worldwide with express service and guaranteed shipping time of only 2-5 business days.